Excitement for learning is cultivated through surroundings that inspire curiosity and wonder. 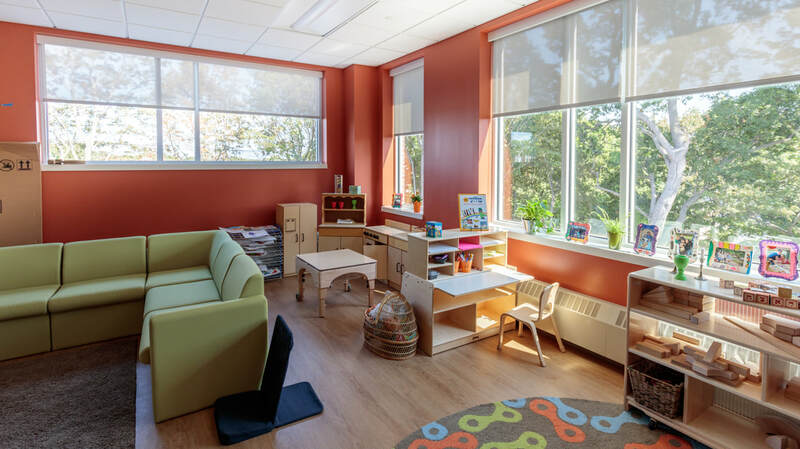 The physical space and materials, along with intentionally designed experiences, bring our values to life, enhance our curriculum, and build a sense of belonging. Children experience intentionally designed, open, and warm classrooms. Large windows draw natural light into the rooms. 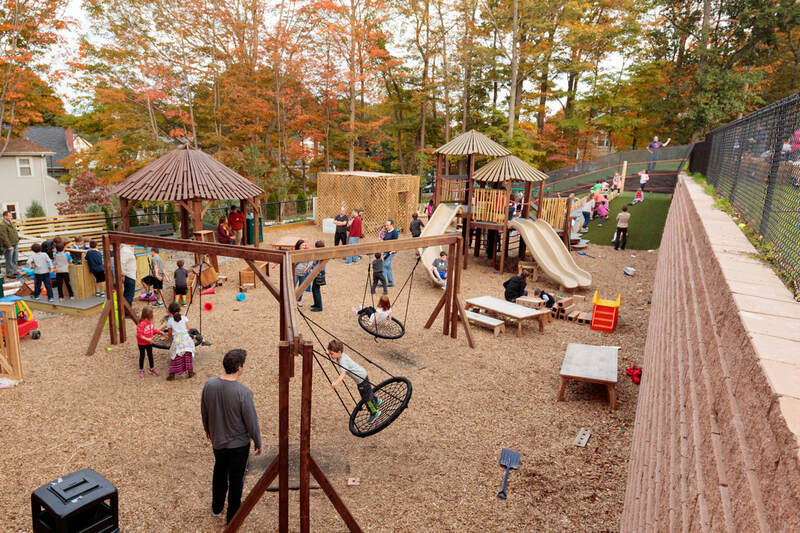 Community gathering spaces provide opportunities to connect with fellow parents and families. Two social halls are transformed into active indoor play spaces on rainy days.